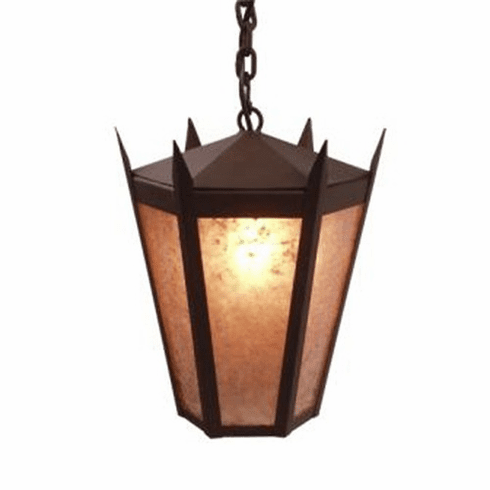 This Spanish Revival Monarch Pendant is available in several lenses and finishes. The picture shows mountain brown finish and white mica lense. The light is 12inches high, 11inches wide, with a 4 foot chain. It uses four 100 watt bulb.